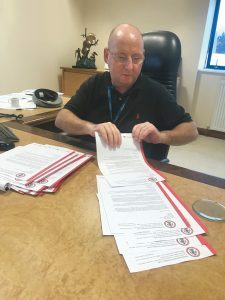 Andy Holt signing letters detailing the Accrington Stanley Football Shirts for year three primary children which will go to heads of schools in the local Hyndburn area. Commemorating the 50th Anniversary of the club, Andy Holt, chairman of Accrington Stanley Football Club, is giving away 1200 Adidas first team replica football shirts to year three primary children in a ceremony at the Wham stadium. 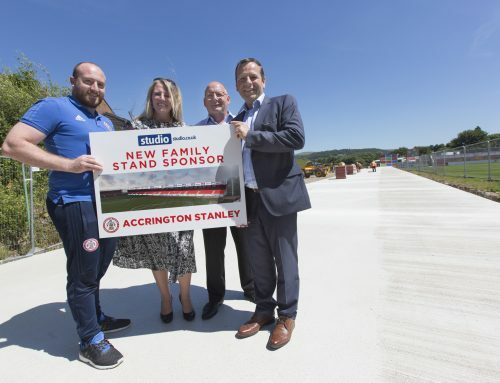 Accrington Stanley Football Club is a symbol of civic pride in #AmazingAccrington. 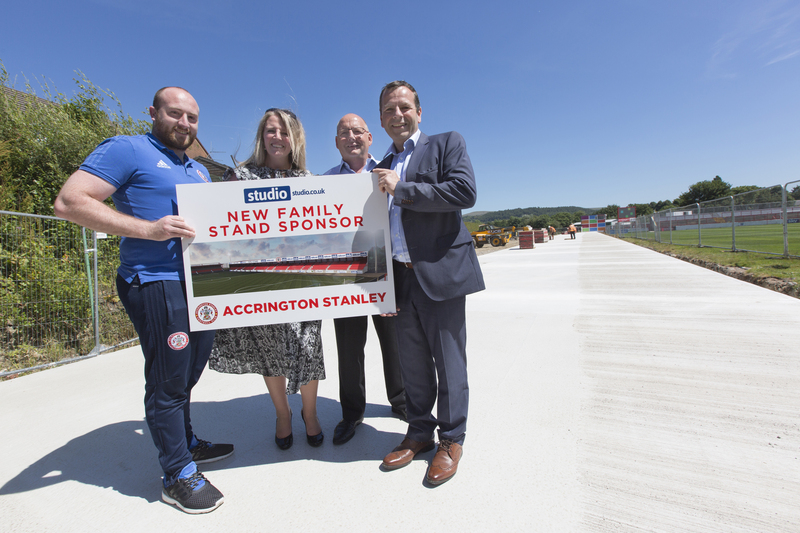 For the next five years, as thanks for their support and a source of encouragement for young people to participate in sport, children in the area will be being given their own official Accrington Stanley football shirt to keep and wear with pride. Andy Holt said: “Being outside and active was day to day life for me as a young boy growing up. In more recent years there’s been less of an emphasis on community sports for children. The Accrington Stanley Community Trust have supported by sponsoring this initiative and they are an essential part of our engagement with the community. This is something I hold with huge importance”. Accrington Stanley Community Trust is the football clubs official award-winning charity, delivering over 30 community projects in Hyndburn. In 2017 they engaged with over 15,000 people and invested over £400k into the community. A big part of the Trust’s community programme is delivering sport and education to Primary School children. 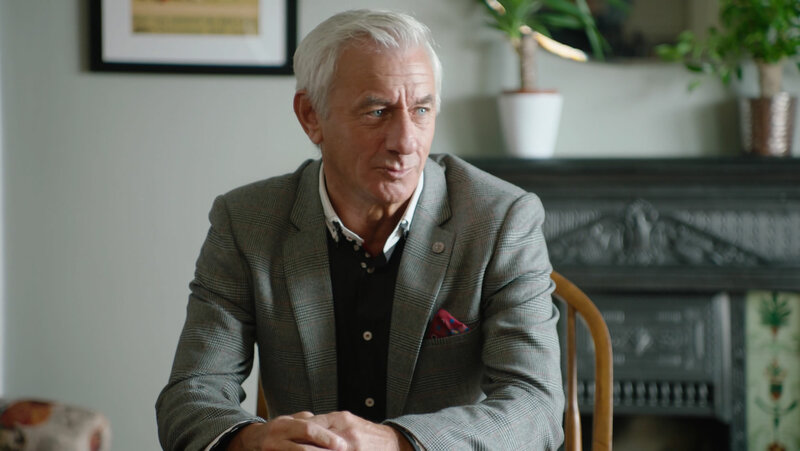 In keeping with this ethos of supporting young people, the Accrington Stanley football shirt will put smiles on over a thousand little faces and cement their roots with the football club. Andy Holt said: “I want to create a connection with our professional League 2 football team. Our roots go right back to 1888 when Accrington were one of the founder members of the Football League. The reformed club was founded in 1968. It is very fitting to mark the 50th anniversary by giving a shirt to every year three primary school pupil in the Hyndburn area. I will be repeating this every year for the next five years in the hope it brings us closer to the community. 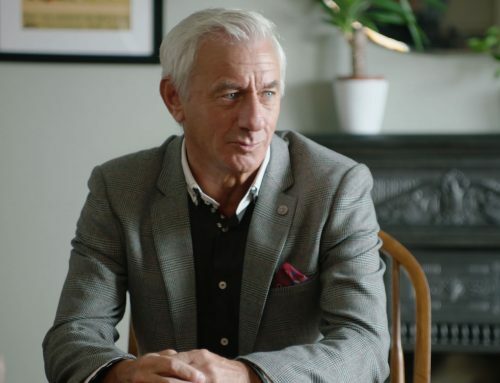 I want it to inspire youths to take pride in their hometown club by feeling part of the borough and supporting their local team”. The shirts will be given to school children at the Accrington Stanley football ground, the Wham Stadium, at 10:30 am on Thursday 8th February. The club will also be releasing a batch of free tickets for each home game at the Wham Stadium until the end of the season for the new fans!